Social media marketing can be innovative, interesting and fun. All you've got to do is bring in a human element and make it an integral part of your company and the fans will follow. Naturally, you know social media is important if you want to create brand awareness and push your online business. The thing is, realizing that just steps one. There is far more of using social media than just putting up some posts every so often. You can leverage it to do far more than that if you're clever about it. What am I talking about? Well, that's what we're going to explore the rest in this article. So turn off your Facebook for just a few minutes and read on! 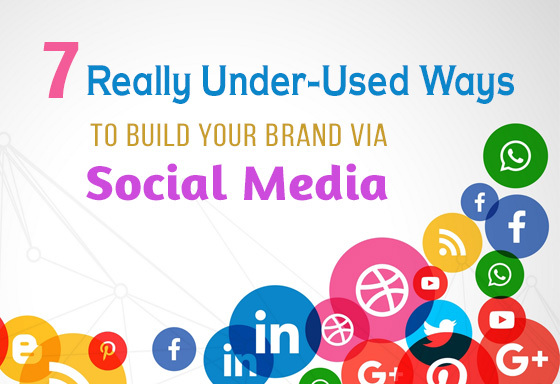 It can be tempting to give all of your social media to one person to manage. If you do that, however, you're missing out on one of the most important dimensions of what social media is. Social media isn't about putting up information. At least, it isn't primarily about that. Instead, it's about creating relationships . And one person can't create relationships with everybody that might come along to your website. Instead, think about roping more people in your company into the social media effort. Have people that like to post pictures, comment and be a part of the social media experience of your company? Then let them run free! And hopefully, in the process, you'll be able to truly connect with your customers. The moment these connections start to form, you know you're doing well. As when a person has a relationship with a company, then they start to become loyal to it. People love the idea of being able to speak directly to the companies whose products they use. Previously, that was a hard thing to do. Nowadays, however, you've got programs like Facebook live that lets you connect directly with people and answer their questions. So use it! Got a new product that you're excited about? Have an interesting interview that you'd like to do? Want to create weekly question and answer sessions? Go ahead. Try it out. Initially, rope in your staff to help you out by connecting (so that it isn't completely quiet) and then talk up how much fun you had right after. If all goes well, you should start seeing a followership. (Particularly if you actually had fun, of course). There are a huge number of networks out there . Sure, a lot of them don't have a very big followership, but that shouldn't matter. Just because a website has a lot of people signed up, doesn't mean you're going to reach them all. For example, with Facebook, it's starting to get really expensive to reach a lot of people. These new networks don't have that problem. They're still desperate to build up their online presence and as such are willing to spread your attempts far and wide. In this way, if you can reach thousands of people for little to no money. All it takes is the effort of signing up and trying it out. And if the network disappoints? Then just delete your account and go on to the next one! Who knows, maybe somewhere out there there's a group of people dying for your product. Yes, you could do a stiff corporate thing, but then who would follow you? So, instead of doing that and not actually creating any interest at all, use your social media to have fun. Put up stuff that isn't necessarily related to what you're doing, but that you (and more importantly your fans) find entertaining. Showcase that you're not just a bunch of corporates. Have a sense of humor. After all, if social media isn't about being uptight. It isn't about sales. It's about connecting with other people. That's a lot easier to do if people actually like what you're saying and enjoy what you're putting up. If you can get access to people that actually know their stuff and have a following of their own, then do interviews with them. This can give a huge amount of interesting information to your fans, as well as get the person you're interviewing to let their fan base know about your company. Besides, it can be a learning experience for everybody involved - particularly if you make sure it's possible for your followers to ask questions and to get involved (Remember that Facebook live thing that I talked about before?). In that way, you can give people an idea of where to get your product or what are the top websites to visit. In the real estate world, it has now become quite common for people to put up their houses on social media. They'll take a bunch of pictures, do a video walk-through and in that way give people a first view of the house. Then, based on that they decide if they want to go down and actually see the property. That's a great idea. But why should it be restricted only to houses? Why not do it with your product and to showcase your events? Put them up on social media. Give people a taste of what will be on offer. Build anticipation. In that way, you'll create an interesting environment and actually create a reason for people to pay attention to what you're doing. You can take the interviews and the Facebook live thing a step further by actually creating full-on trade shows. Have panel discussions. Create the possibility for people to showcase their ideas and their products and in other ways create an online show that people can check into. You can even couple this with a real-life trade show so that people who didn't go can still get a taste of what's going on and what they could have gotten if they'd come down. Then, next time you have one, they'll be far more inclined to make their way down and see what's going on. Alternatively, you can split up the online and the real life trade show and use the online one as a teaser to get more people to come down to the real thing that you're having. If you make sure that you've got a couple of interesting events online, that can significantly boost the number of people that show up to the real thing. The trick to having a successful social media campaign is to not have your social media live in a bubble. If you can successfully integrate it into your company, by letting your staff talk on it and by showcasing what you're doing, then it can serve to give a real interesting and fun human element to what you're doing. And when you do that, you give people a reason to connect and follow you on social media. If you try to do everything else, you better be saving them a lot of money for your strategy to be successful. That's all that I'm saying. Diana Beyer is a passionate blogger and an experienced marketing specialist, that is working for this writing services list. She knows a lot about blogging, writing, web design, self-growth. You can contact @Diana_Beyer_ via Twitter.